Outsourcing to a 3D architectural visualization company is a common practice among the vast majority of architects and interior or exterior designers. The procedure is simple – submit specifications and receive photorealistic images. But, there is always a chance that something can go wrong, the deadlines are postponed and nobody is satisfied. 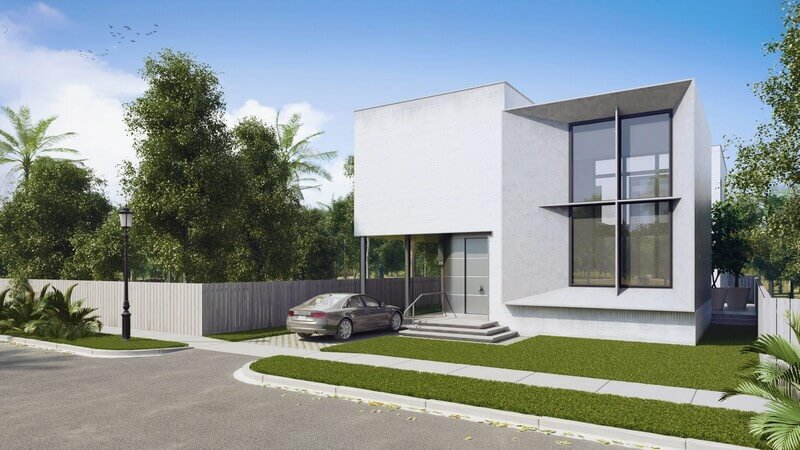 In order to avoid most common accidents, you need to know how a 3D architectural rendering company is run and organised. Join us as we explain the work structure of our studio and how to maximise cooperative efficiency! When it comes to how 3D rendering business is run, a visualization company is no different from any other profit organisation. Management department makes the right decisions to maximise production effectiveness, customer satisfaction and revenue, streamline the workflow and maintain it. 3D artists do their job and produce gorgeous CGI. Sales department does its best at making sure that a business never runs out of clients. A visualization company like ArchiCGI differs from counterparts in how we process orders and organise service. There are 5 stages to each project clients submit, and let’s go through them in detail. Pushing a “start” button does not mean that you instantly get the machine running. First, any client gets contacted by the sales department and given a link to their profile web page at Archivizer. To place any order, be it professional 3D rendering or animation our clients have to register or sign in at CGI CRM. Then a customer submits technical details and blueprints, explains what kind of decor they want to add and what the context should be. They can also suggest using one of pre-made items we have in our huge object database, to speed up the production. And with that, the order is submitted. Every client has a personal project manager assigned to them. PM’s job is to communicate with customers, provide progress reports and make sure that problems are avoided. A PM reviews the data a customer has provided and asks what the renders will be used for (printing, design visualization, architectural presentation or application making), is there a need to modify anything and is there a limit to polygon count (how detailed you want objects to be). Finally, a deadline is set, and 3D visualization company can get to doing what its name stems from. The task is submitted to a team or several teams (depending on the complexity of a task) of 3D artists, who immediately start working on it. First, they fill a three-dimensional space with “shells” or hollow 3D models. If an order requires custom 3D models, they are done separately. Then 3D models are colored and textured, the empty space slowly becomes a room. Then the rendering process starts – 3D visualizers add light and other effects, polish the scene, run several checks and take pre-discussed shots of the “room” for the customer. But it’s not the time to relax, since there are still a few things this department of an architectural 3D visualization and rendering company has to do. Even if everything goes smoothly, no architectural visualization company has ever managed avoiding this phase of any project. But there is a good reason for it – after all, the customer needs to receive a finished product that satisfies all their demands. Clients can spot things they don’t like in the scene when reviewing progress report, and personal project manager instantly informs 3D visualizers, who correct them. Bear in mind, that only 20% of initial project’s budget can be spent on corrections – more means redoing it all from scratch. And after all that, a client receives the order: images, animation or both. Then they are contacted by a personal project manager for the last time to provide feedback and decide whether they want to cooperate with our architectural visualization company or not. And this is it – plain and simple. Now that you understand how our visualization company is run and organized, we have reached a mutual understanding and will cooperate better in the future. You haven’t outsourced to studios like ArchiCGI before or still not sure? Consider a test drive today! 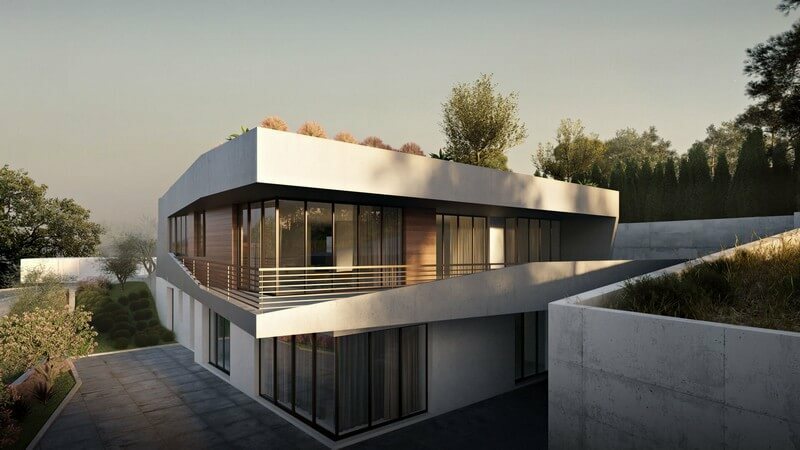 Get photorealistic 3D renders or animations with our architectural rendering services!